December is here! And Christmas is around the corner! We just can’t wait to enjoy family reunions and staying at the table after meals, losing track of time! Can we? And, although company is what matters the most, it’s also undeniable that we are also eager to enjoy the delicious Christmas canapés that you're sending in to our competition. 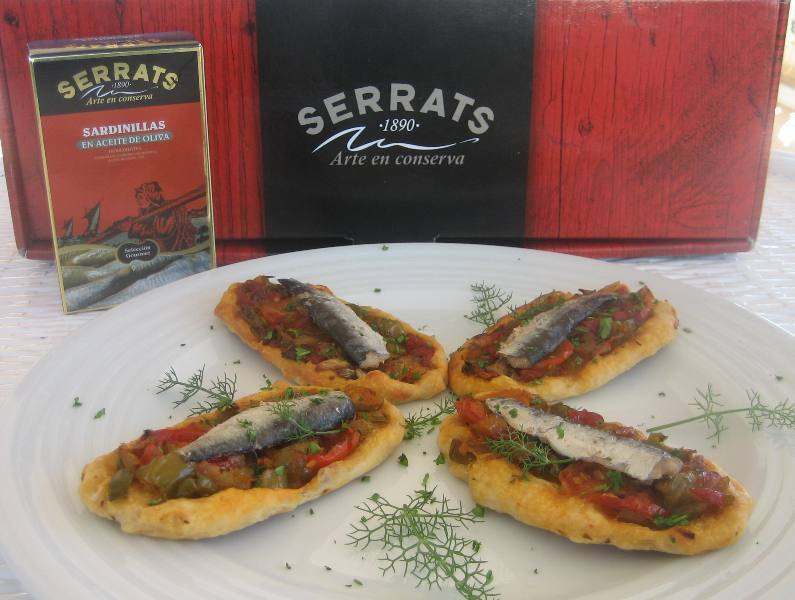 Today we present the second proposal by Margarita, from the blog "Among friends": some vegetable and sardine canapés. Finely chop the green pepper, the piquillo peppers and the spring onion and lightly sauté in a frying pan with a little olive oil. Add salt, oregano and the cherry tomato cut into thin slices. Carefully open the sardines in half (we’ll use half a sardine in each canapé). Cut the pastry dough in strips and give them an elongated shape. Brush some tomato passata on the bottom of each pastry strip and fill them with the vegetables. Place in the oven preheated to 190°. When you see it starts to turn golden brown, remove from the oven, add a half sardine to each canapé and put back in the oven for five more minutes. Remove, sprinkle with some parsley and you now have some lovely vegetable and sardine canapés. Simple and tasty, perfect for Christmas. Thanks, Margarita!